We’ve spotted an updated Range Rover testing in the UK with a few small changes to its exterior. 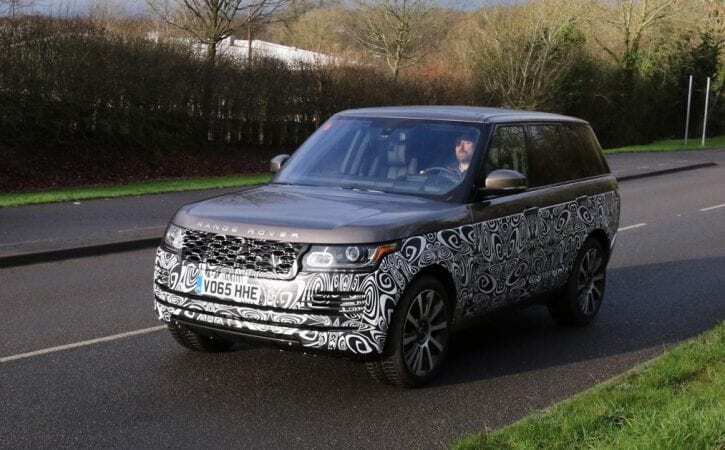 The luxurious Range Rover is set to be facelifted this year, and we’ve spotted the updated model testing on UK roads. The car in our pictures is only camouflaged from the bonnet and door handles downwards, so don’t expect a total overhaul – in fact, the changes we can see are very minor. There’s a new front bumper with sportier-looking vents below the headlights and a black honeycomb grille at the front, and it appears that the ‘gills’ that sit behind the front wheels on the current car are gone, too. The rear looks identical to the current car, with this test car not even getting any kind of disguise on the back. Running the number plate tells us that this is a 5.0-litre V8 petrol car, which suggests that the supercharged 503bhp engine will make a return in high-spec Autobiography versions of the new Range Rover. Last year there was a subtle update to the Range Rover, with some tweaks to the engine range to make the diesel models more efficient. Expect further refinements this year along those lines to add appeal to the model range, as well as new in-car tech. Expect the facelifted Range Rover to be revealed later this year and be on sale soon afterwards.